In New York, having a unique and intricately designed outdoor area can add value and transform your space, making your home the focus of the neighborhood. 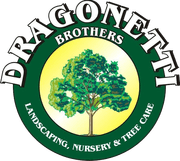 If you’re searching for a relaxing, high-impact special landscape design, consult the expertise of Dragonetti Brothers Landscaping. Our team can work with you to add specialty landscape touches like outdoor kitchens, water features and lighting to fit your personality, daily needs and budget while providing a stellar, new and incomparable hosting space. Bring your indoor comforts outside, equipping your home’s outside space into an ideal location to host enchanting outdoor events or relax with close family. Select from a wide selection of full-range appliances like refrigerators and stoves to special amenities including wine coolers, pizza ovens or lobster boilers — customize this space to fit your culinary dreams. With your new outdoor chef’s kitchen, you can have even more conveniences, appliances and gadgets than your indoor version, so you can prep, grill, chill and cook all in one place. The team at Dragonetti Brothers Landscaping can also help you design custom, personal finishes to fit your aesthetic, choosing from several materials including hardwood, stone, poured concrete and stainless steel. Create unforgettable events with friends using your new outdoor kitchen, where you’ll never want to go back inside. At the end of a busy day, don’t you desire a relaxing oasis to unwind alone or with close friends? With the water features available at Dragonetti Brothers, you can have a stunning new water feature, including decorative fountains, pools, waterfalls or ecosystem ponds that seamlessly integrate into your home’s design while becoming the center of your home’s landscaping — providing you and visitors with soothing tones, visual appeal and attracting peaceful butterflies and birds. To truly enhance your outdoor lighting, consult with the experts at Dragonetti Brothers Landscaping to create the ideal lighting plan for your landscaping that will enhance and beautify plantlife and structures while maintaining the subtle qualities and drama of nighttime. We strive to create a source-less, inviting glow offering your outdoor space the illusion of moonlight and gently revealing the special features of your space, presenting your outdoor lounge area and landscaping in a unique, fresh light you’ve never seen. We offer a large selection of lighting fixtures — including remote-controlled systems, solar fixtures and custom lighting solutions to fit your style and budget. Don’t settle for a standard outdoor area. Instead, elevate your landscaping and add a bit of drama and glamour with specially designed water features, lighting or outdoor kitchens from Dragonetti Brothers Landscaping to perfectly match your personal style, daily needs and budget. We can give your home the update you deserve, specializing in landscape design for homes and businesses located throughout Brooklyn, Manhattan and Queens. Transform your outdoor space today by calling us at 718-451-1300 or completing our online contact form to request a free estimate.